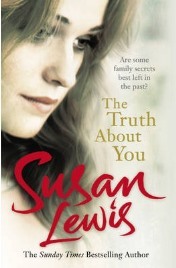 In Susan Lewis’ latest book, The Truth About You, Lainey Hollingsworth is determined to find exactly that – the truth about her past. Her mother, now deceased, never told her anything about her real father, and now that she is no longer around to ask, the only way to find out is for Lainey to travel to her native Italy and to the town where she was born. However, in order to do so, she also needs to sort out her life at home even if that means uncovering some unpleasant truths. Where is her husband Tom just when she needs him and what does her teenaged daughter Tierney get up to? There are more secrets than she probably wants the answers to. When she does learn the truth about herself, how will she cope? And in doing so, will she be there to support her family and help, them come through their own trials? 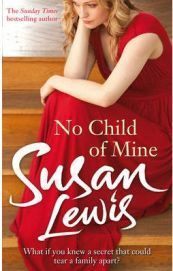 No Child of Mine is the latest novel from Susan Lewis, and in my opinion, it is her best so far. It’s compulsive, addictive reading and is a book that is virtually impossible to put down. It is traumatic, at times as it explores the harrowing field of social work that deals with child abuse and neglect. As well as that though, it is a moving and powerful story that grips the reader from the very first page. Alex Lake, a social worker, is the central character and she is dedicated to her work. She also has a great deal to cope with in her private life, being an adopted child of parents that she has always felt did not love her quite as much as their natural daughter, Gabby. 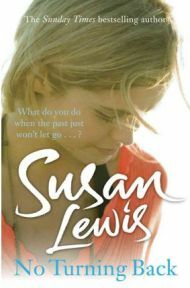 No Turning Back is the latest book from Susan Lewis, one of my favourite authors. She always writes highly charged and emotional novels dealing with family dramas. They are the sort of books that you can hardly bear to put down because of the utmost need to find out what happens in the end. No Turning Back is just as good as all of her other novels that I have read and left me feeling like an emotional wreck at the end, although in a most satisfying way. Life has never been easy for Eva Montgomery. Her mother died when she was only four; after she became a successful model, she was the victim of a savage knife attack that left her scarred for life; and, worst of all, after giving birth to the baby boy she was carrying at the time of the attack, she felt unable to cope and gave him away for adoption – an act that she has always regretted.